Initial hard and soft C and G.
Could you make up your own chant for hard C and hard G? What letters typically follow G and C when they make a hard sound? Our whole class is reading Among the Hidden by Margaret Peterson Haddix. We're really enjoying this exciting and tense story about Luke, a Shadow Child. We're now starting to write literary letters in our reading journals. When they're done, students may publish their letters on the new classroom BLOG at edublog! Here are some TYPES of personal responses to reading. Use any sentence stem to help you write your second paragraph. One resource is an online textbook that can be found HERE. 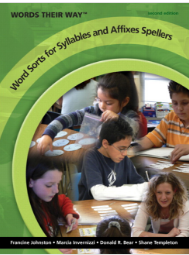 Students use the Words Their Way series to study spelling. Every two weeks, we learn a new spelling pattern. We start by sorting the words into categories based on spelling patterns. We also have lessons on the spelling rules of the words we are studying, practice using the words in our writing, and sometimes play games, such as Sparkle, with the words. I do not give spelling tests, as there is no research-based evidence that memorizing lists of words for quizzes improves students' spelling. -Be introduced to Open, Closed, and Blind Sorts of words. -Review Open and Closed Syllables, and Long and Short Vowel Sounds. Check out the directions and expectations for our Interactive literacy notebooks, a major component of our reading program! Although this notebook does not go home, you will be able to see it at conferences in the fall.